Mirrors are not just for lavatories, private boudoirs, or wash rooms. And that goes especially true for any of our medieval mirrors. Works of art in their own right, these mirrors are fantastic little display items that can and should be hung up on your walls and featured like works of art in your home. 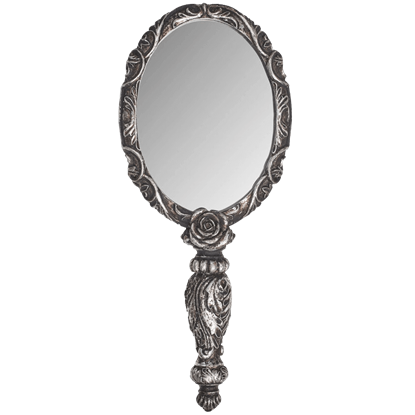 Because there are many different styles of home decor, we offer many different styles of mirrors, ranging from medieval mirrors that feature classic styling that would complement any kings castle to fancy and ornate Renaissance mirrors that demonstrate superior technology and an artistic style. Of course, that is not all we offer. A good gothic mirror is the ideal way to infuse a little bit of dark, gothic style into your home or complement an already-existing gothic look. 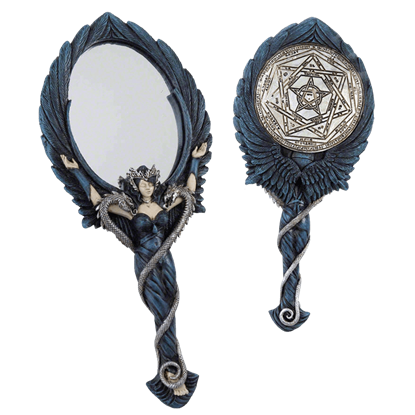 And for that touch of fantasy, we offer a number of mirrors that draw from mythic sources, including dragon mirrors, fairy mirrors, and more. After all, a good fairy mirror or floral lily mirror is a great way to infuse both femininity and beautiful into any room. And wall mirrors are not all we have. We offer a number of hand mirrors too that are perfect for both use and for decoration. A good mirror is more than just a place to look at your reflection. We believe that a good mirror is also a great decoration, working just as well as any other piece of wall decor to alter and stylize your surroundings to suit your personal tastes. The Autumn Gold Hand Mirror by Molly Harrison would look great on any dresser or vanity in your home! 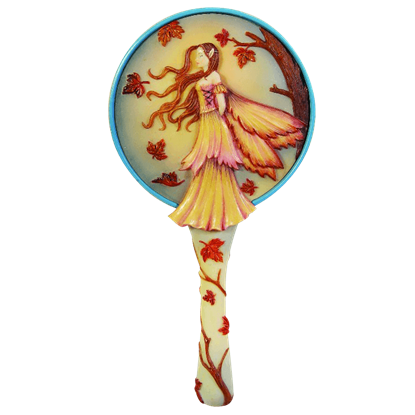 This hand mirror has Molly Harrisons Autumn Gold fairy on the back, while the rest of the mirror is covered in fall colored leaves. The rose that is featured on the back of the Baroque Rose Hand Mirror holds a very special place in the heart of The Alchemist, Amzer. The rose is a depiction of the black rose that symbolizes perfection in alchemy, the Opus Magnus. Among the most alluring of the high orders of angels are those who belong to the dark. 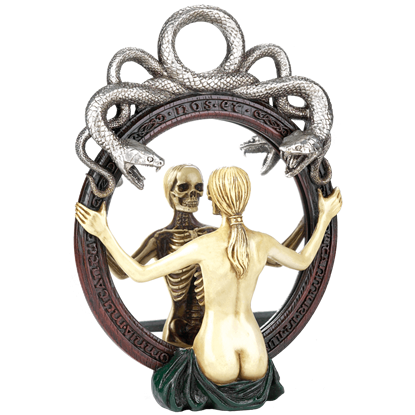 The Black Angel Hand Mirror embodies their beauty and creates a striking accent for any lady to own and use as a part of her daily ritual. Florally styled and almost entirely organic in appearance, the Calla Lily Hand Mirror looks almost as if it could have grown out of the ground. 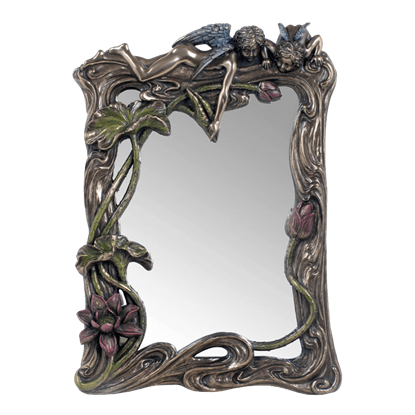 This attractive mirror is a great personal accessory for the individual who likes flowers. This beautiful mirror combines several natural elements together in order to form an elegant floral frame, for which this mirror is named. 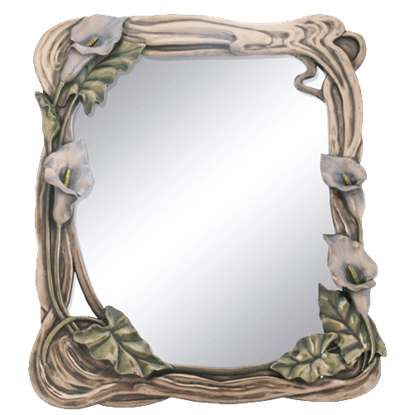 The Calla Lily Mirror is the perfect way to add a touch of natural beauty to almost any room. 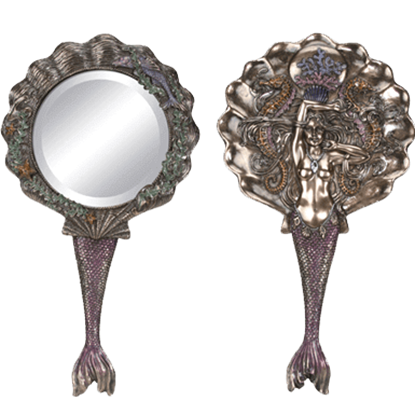 For the perfect gift for any mermaid lover, check out the Celestia Mermaid Hand Mirror. A beautiful mermaid surrounded by seahorses, coral, and a large seashell decorates the back of this finely detailed, cold cast resin mirror. 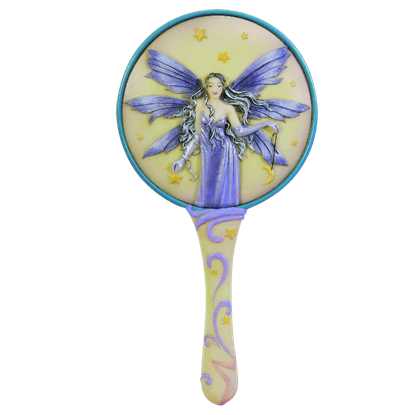 The Celestiana Hand Mirror features Molly Harrisons Celestiana fairy. She is holding a moon and a star by strings. The mirror is pale yellow and is covered in stars. This mirror is made of hand painted cold cast resin. Angels are known in most cultures as heavenly beings who look over those who are weak or in trouble. With stunning engravings, the Celtic Angel Mirror is a unique way to bring a mythical depiction into your home or reenactment decor. 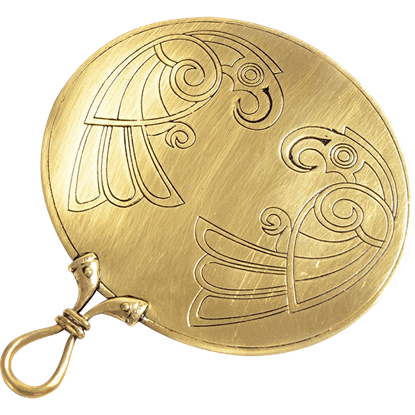 Celts implemented a myriad of different creatures into their designs, and the bird was symbolic of prophetic knowledge. 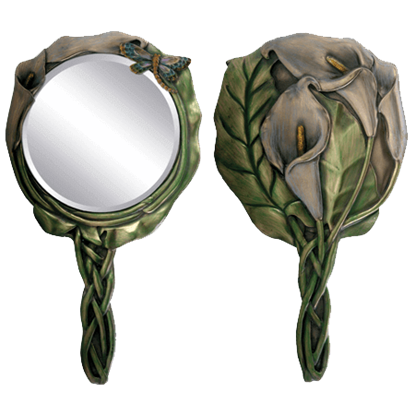 The Celtic Bird Mirror brings that mythos to you in a beautiful hand held piece of home or reenactment decor. A mirror is something that you use on a daily basis, so make sure the mirror in your home is one to be proud of. 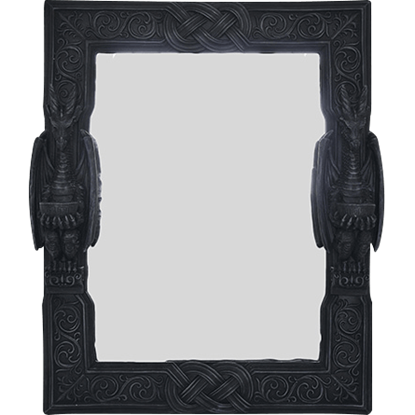 This Celtic Dragon Wall Mirror would look fantastic hanging up in your bathroom, hallway, or any room of your house. 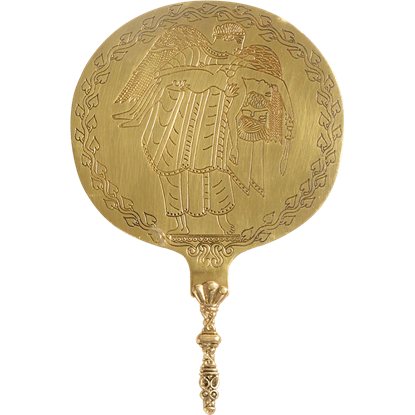 The beauty of the natural world collides with angels and artistic style in this Cherubs and Lotus Mirror. Elegance and an attractive design make this a stunning wall decoration as well as a useful decor item to have in your home.